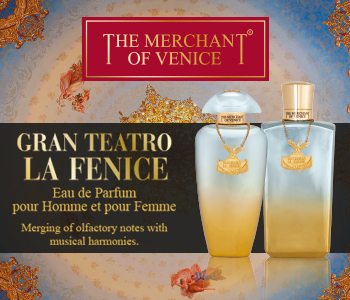 A union of two harmonies, The Merchant Of Venice La Fenice collection represents the lavish beauty of the Gran Teatro La Fenice in Italy. Embodying the musical and olfactory presence of one of Italy’s biggest landmarks, both La Fenice fragrances capture the splendour of timeless beauty. Comprising of a floriental fragrance for women and a dominant leather after shave for men, both signature scents create a magical symphony that’s both contemporary and classic.